In the last 5 years, I’ve had the opportunity to hire and interview people for 20+ marketing roles. I’ve looked through 600+ resumes and cover letters, conducted 80+ interviews and most importantly – landed some pretty cool jobs myself, including my current role of running the marketing team here at Sked Social. This quick summary allows the hiring manager to see why I’m a good fit, get a quick glance at my experience and strengths. Now she’s interested! Create a beautiful resume that stands out – this seems obvious but to stand out, you really need to put some work in your resume. After trying out 10+ online resume builders I ended up using Canva‘s templates to create a lovely customizable resume. Don’t leave your resume to generic templates found online – everyone else already uses them! If you want to land this particular role, you should highlight this experience in your resume first. It’s a no-brainer! A bonus, super sneaky tip 🕵🏻‍♀️: Change the colors of your resume to the brand colors the company you’re applying to uses. This was a dirty trick I used to get hiring managers to feel familiar with my resume and show them I cared about the company. Hey, if you're looking for a remote marketing job, come join my team at Sked. We're hiring for SEO, Product Marketing & Social Media Management roles. When I’m reading through 150+ cover letters, they all tend to be the same – a rather impersonal greeting (Dear HR staff! ), a bland introduction taken from some career advice website (I hereby apply for so-and-so role) and then a long description of things I could’ve read from their resume easily. Personalize, personalize, personalize – like everyone else, I like to hear about things that are important to me, use that! Tell me exactly how I would benefit from hiring you, why you’re such a good fit for this particular position and how you’re different from the 150 other people that applied. Mention the company name and industry often, don’t use placeholders like “your company” or “relevant industry”, personalize every paragraph and appeal to the hiring manager so you don’t lose her attention. Highlight your achievements in the cover letter immediately – Just like with the resume, show off your achievements first. Mention concrete steps you would take in the role – show her you understand what the role is about and can lay out exactly what you would do. Focus on how you can specifically master this role at the company you’re applying at. In my experience, this step alone will absolutely make you stand out from 99% of candidates. I’ve already covered this in previous steps but it’s important to keep the company’s goals in mind (do your research!) and show exactly why you bring more value than any other candidate. Approaching your resume and cover letter from the hiring manager’s point of view will absolutely earn you bonus points and make you stand out. Wherever you can, outline the exact steps you’d take if you were hired for the job. Think about why this company is hiring for this role right now, where are they missing opportunities and how you can help them overcome challenges. Then write about it precisely and directly and you’re already miles ahead of most other candidates. As with the last point – this will supercharge your odds at success in landing the role you want and make you stand out from every other candidate. I’ve never seen it done by anyone else but in 2017, this tactic landed me several interviews and offers for jobs that required more experience and seniority than I had at the time. The key was showing my enthusiasm and expertise in the role I wanted. In this particular instance, applying for senior marketing jobs, I created Trello boards outlining the exact steps I would take to excel at the job. I went above and beyond to identify the pain points of companies in question and possible solutions I could contribute with. This was by far the most converting tip as it worked every single time and landed me final stage interviews for jobs I knew I had smaller chances landing. Always do your homework! Research every company you apply for and try to think about their current business goals, how your role fits in, their biggest competitors and major pain points (for the company and industry they’re in). Look out for opportunities they might be missing out on, markets they haven’t penetrated, a particularly interesting target audience their current messaging doesn’t address and show that in your cover letter, your emails and your interview. I can’t stress enough how important it is for me to see a well-prepared candidate who’s done research on my company and can talk in specifics. We often ask candidates about their opinion on the social media for business space and do expect a decent amount of knowledge and industry expertise, regardless if they have direct experience with it. There’s a whole lot of conventional interview advice out there so I won’t be going through most of it or bore you with tips you can easily read elsewhere. However, I don’t usually see the one thing that makes or breaks most candidates’ chances of getting a job – how specific they are about their experience & skills. I’ve had so many interviews with candidates who just beat around the bush for every question as if they’re avoiding the answer. While I don’t think any of these candidates were actually trying to avoid answers to simple questions like: “Can you describe a regular day at your current/last job?”, I do feel like so many people get these answers wrong by being too vague or using buzzwords rather than going into the specifics. To me, this is one of the questions I use to judge a candidate’s expertise, using buzzwords or being vague makes me think they don’t actually have the experience needed. The differences are subtle but they mean the world to me. They show me you know exactly what you’re talking about and are a good communicator. Presenting your skills is a skill in itself. 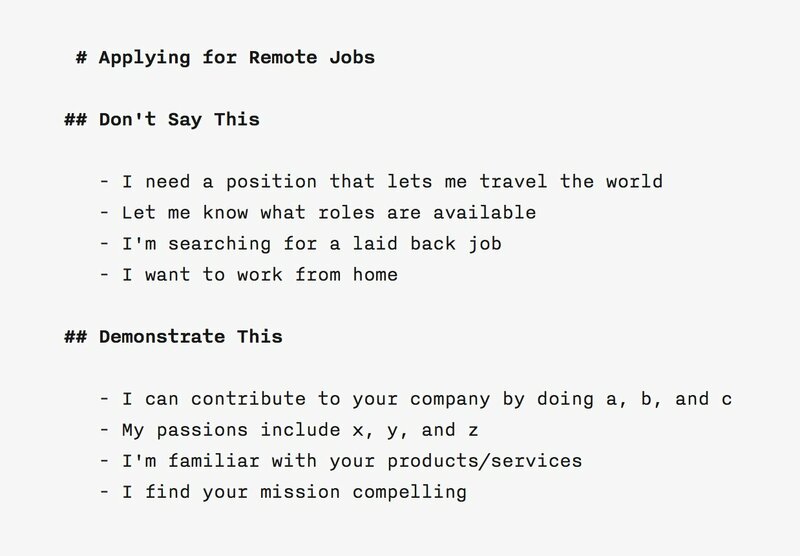 I also really liked these tips from a fellow remote company Doist. Thanks to my coworker Seema for pointing them out. Well, these are my tips but I’m sure they’re just the tip of the iceberg, what are some tips that worked for you? I’d love to hear them, comments are all yours! We work with customers all over the globe ranging from small family-run businesses to companies like Disney, BBC, TimeOut magazine, Sephora and NBC Universal. Your work will directly impact how thousands of social media managers and business owners work every day. 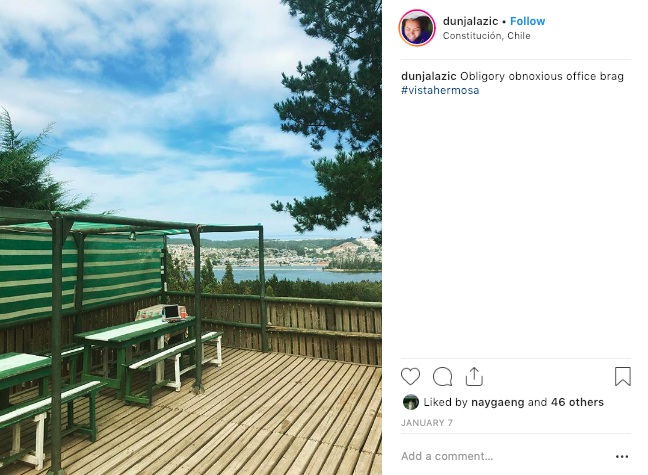 Dunja is a writer turned marketer, usually shares product updates & occasional opinions on new trends. Dunja runs marketing at Sked Social and would love it if you signed up after reading this! Thanks very much Dunja, this kind of posts are really helpful! Sometimes we don’t know our own mistakes and it’s nice when someone gives us feedback or tips that make the difference. If you find the job of your dreams or the team where you do want to be part, you shouldn’t give up! If there is a startup/Business/Platform that you want to work and you fail with the interview or when you send your application, don’t worry, keep the eye in future positions! But guys, we have to learn from our mistakes! Don’t be discouraged, but please learn from your mistakes! It’s the only way to improve and learn more to contribute to better things! Be perseverant and get enough motivation to achieve an objective. The post from Doist is an awesome post as well! All these posts show us the team values and the importance of the work-life balance. I’ll appreciate if you add LinkedIn to share it! Thank you for a great article. Do you know of any agencies that specialize in placing remote talent?